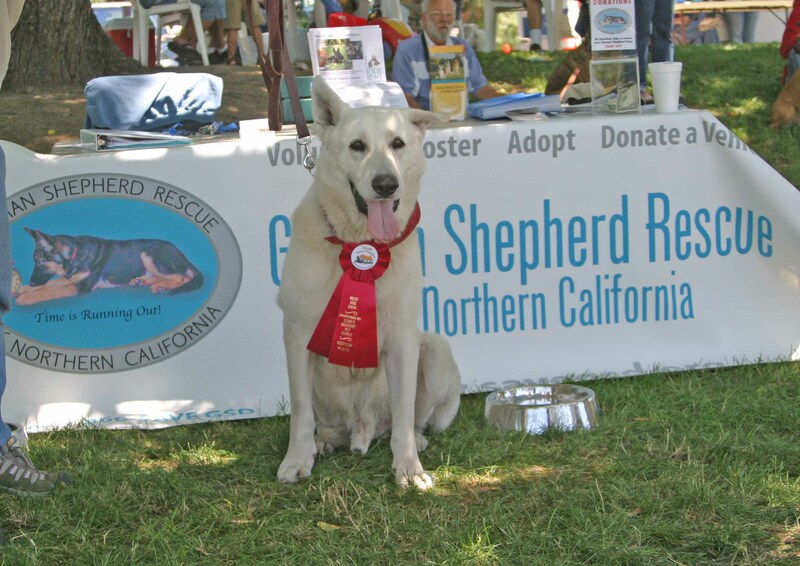 Kiska is a big bear of a white GSD who was adopted out about 3 years ago. He is a striking dog that won a prize for best Rescue dog in the Rescue Dog Parade . And like most white GSDs, he has the greatest smile. Kiska was just returned to us because his people lost their home. They are devastated to have to give him up. 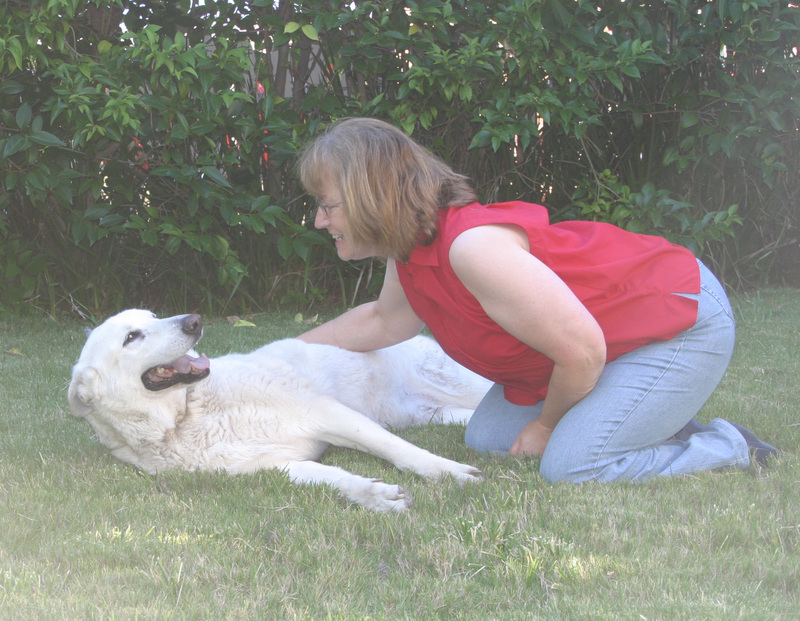 Unfortunately, Kiska is now 8-9 years old and is suffering from advanced degenerative myelopathy. As a result, we have taken him into our Thulani Program. He likely has only a few months before he will not be able to get up on his own. But until his quality of life becomes intolerable, he will have a warm, loving home where he has freedom to explore a wonderful backyard, has a cottage all his own, has people around him 24/7, and has all the good things we can give him. And he is enjoying it all the time. He goes to the fence and talks to the neighbors, he noisily greets everyone who walks by with a dog, and he happily trots around the yard exploring all of its hot-spots. Kiska is a fantastic companion.